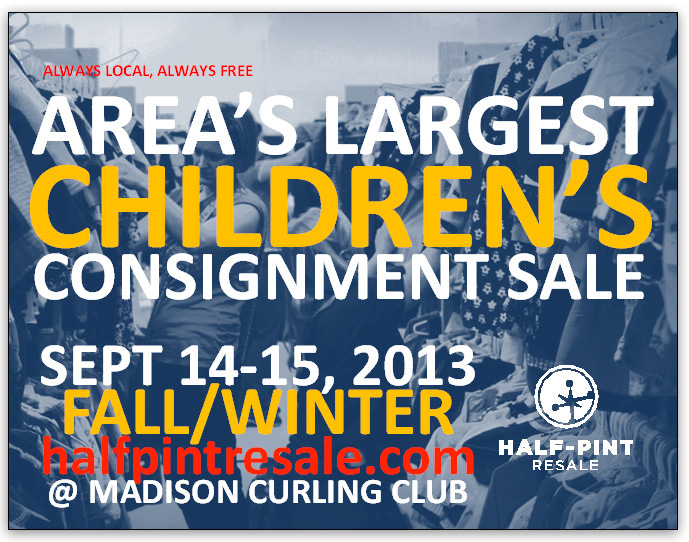 Join us at the 12th Annual Half-Pint Resale! 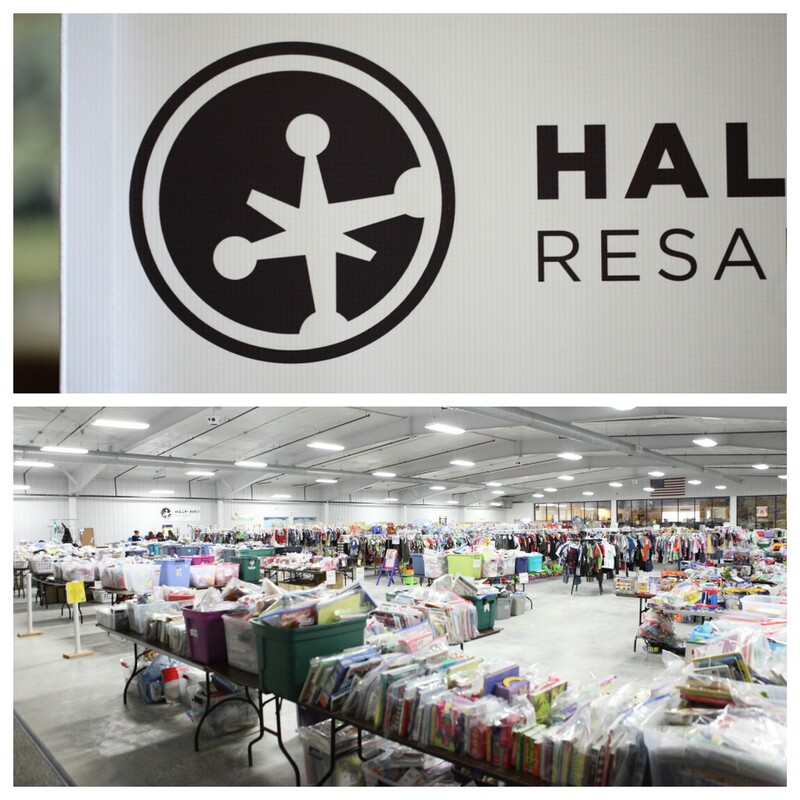 This coming weekend is the 12th annual Half-Pint Resale, the area’s largest children’s consignment sale. With only a few days left before the sale, we hope you’ve got your resuable bags ready and your cheat sheets complete. Cool nights and crisp fall leaves are around the corner– and my guess is that there are littles (and school-aged bigs) who could use some new-to-you clothing, some gear, some toys, and how about a few holiday or birthday gifts stashed away – all on a budget?! 2) There are two main areas at the Madison Curling Club. In the lobby area, there are tables, seats, and places to just take a load off! Feel free to come in and take a seat, nurse your baby, dig into some food from this sale’s Food Carts (which will be during lunch and dinner hours Friday-Sunday). You are more than welcome to come and hang out – we only ask that you leave all unpurchased items on the sales floor. Thanks! The sale area is in the arena part of the building. We will have hold tables where you could bag your items, if you say, need to go sit and nurse your babe or use the restroom. NOTE: The temperature in the arena area is similar in temperature to the temperature outside, due to the nature of the space. It may be warm, it may be cool, it all depends! 6) Don’t forget to come on Sunday during the Half-Price sale! 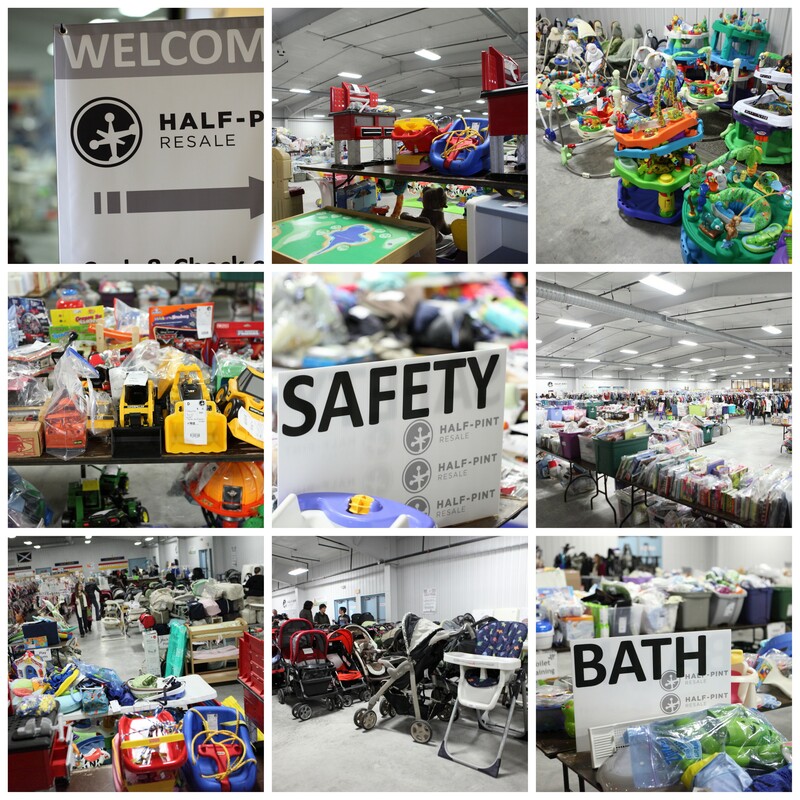 Everything (excluding rare items over $75 that a consignor asked to be excluded from the sale) is half-off! 7) And last, but not least, We only take cash and check! Keeping consignor checks as high as possible and keeping as much money in the community as possible. Sunday, Sept. 15, 2013- 8am-1pm when everything is half off! PPS – Save a couple of bucks for some super awesome Half-Pint goods such as our new awesome Midwest Clay Project handmade mugs (tees and reuseable bags still availble as well) You can carry the Half-Pint love with you year round.